Beckworth LLC is your local Kitchen Remodel Vienna VA design master. A kitchen is truly the centerpiece of any home. This is where people gather together to eat meals, talk about the events of the day and generally relax as they prepare a meal. If you have a Virginia kitchen that isn’t quite working for you, it might be time to think about remodeling. A home improvement project can help you update the space, making it easier to use and also add to the home’s value if you’re thinking about selling it down the road. When thinking about this kind of home improvement project, you’ll need to think about the results you want in your Virginia home. Each detail is important. Kitchens are big spaces. As we at Beckworth know, this is one remodeling project where people want something truly special. They want a space that has all sorts of amazing details. Homeowners often look for ways to increase the size of the space as well as add in more light. Many also have an idea about the color scheme they want such as bright yellow walls and dark cabinets. Several of our clients at Beckworth also spend time thinking about the specifics they want including imported tile, upgraded appliances, and flooring that’s easy on their feet. Beautiful details make the entire home feel like a luxury retreat. While many of our clients have certain ideas, many others aren’t sure where to start. They look at the space and think they want it changed but they don’t know how. In that case, we can help. We know how to take any area of the room and make it come alive with an updated feel that is also classical and familiar at the same time. Our team of designers works with clients from varied backgrounds, allowing all of them to think about the final result they ultimately want. When we collaborate, we come to the table with years of know-how and skill. 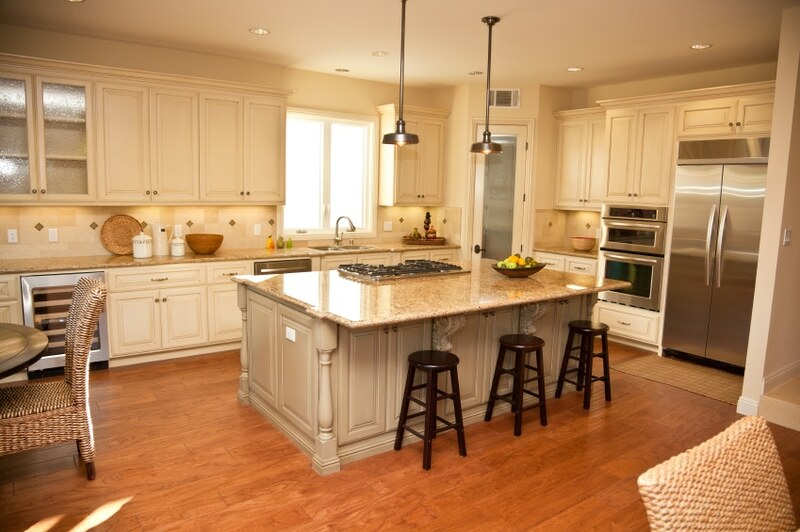 We have worked on many kinds of kitchen remodeling projects for Virginia homeowners. We know what it takes to remove older, unattractive kitchens and replace them with spaces that sing from every single view. With our assistance, any homeowner can show off their personal taste and demonstrate their cooking skills. They can also invite all of their family and friends to join them in making not only meals but wonderful memories. As professional interior decorators, we know how important it is to have a functional and attractive kitchen. If you are going to go through the trouble of remodeling your kitchen you might as well make sure it has all the features you want right? When you create a design from scratch or are willing to complete redesign then we can create custom kitchen plans that can include any new cabinets, storage or particular layout preferences you have in mind. The most popular and profound kitchen remodel is when a homeowner decides to get new cabinets installed in their kitchen. New cabinets are not only responsible for the first impression of your kitchen to guests but also where you store all your appliances and kitchen necessities. New kitchen cabinets can dramatically improve the look and functionality of any design. Modern kitchens nowadays do a lot more with their island than just using it as a place for storage or preparing food. There are many styles of the kitchen island that can be incorporated into your next kitchen design idea. We can help you explore your options and decide on the best look and materials for you and your family. Kitchen lighting has really grown in importance to many homeowners when deciding on what they want to upgrade in their kitchen, poor lighting is usually a common problem. Not only will new kitchen lighting improve your experience while cooking but can also make other areas more useful or more convenient, and not only for the cook. Other than countertops and cabinets, another way to significantly improve the look of your kitchen is with new kitchen flooring. You would be surprised at the variety of options that are available nowadays, ranging from traditional wood and concrete to more eco-friendly sourced products like cork or bamboo. If you’re considering a Kitchen Remodel Vienna VA then feel free to give us a call for a free quote (703) 570-6777, or Contact us here. You can also find good resources on our Blog or Facebook.